With Facebook dominating the social media sphere, everyone quickly realised that social networks were here to stay, and that there was serious money available for those who could take advantage of this new interactive trend. So it was no surprise to see the internet’s largest enterprise, Google, throw their hat into the social networking ring. Many questioned the viability of a social network that was essentially in direct competition with Facebook, but the rise of Google+ has been steady and strong. In 2013, we now see that Google+ is second on the list of top social networks in terms of global active users. 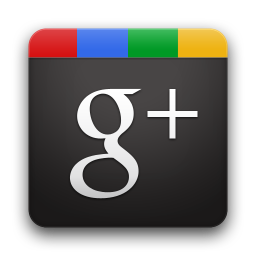 In fact, Google+ has over 400 million members to its name, with 100 million active monthly users. That’s a huge audience, and it’s an audience that you want to reach. Google+ has all the same benefits that facebook has when it comes to exposure and marketing. You’ll be able to reach a huge audience of captive users who are eager to share your content. You’ll be able to market to them directly, and when they share your content, its reach will expand exponentially. But one thing you may not have thought of is how having a Google+ business presence might enhance the effectiveness of your advertising. A study was done which aimed to test the effect which Google authorship (a feature of Google+), had on Google listings. The study aimed to find out if there was any positive benefit to be had from Google authorship, and the results were astounding – the study found that Google authorship increased CTR dramatically, sometimes as much as 150%! The best thing about marketing with Google+ is that you’re able to be part of a huge network of pre-existing commercial enterprises, all of which can be linked to one another and leveraged to ensure massive exposure. Google initiatives such as Google Play, Adsense, Adwords and even YouTube can all be used in conjunction with one another to broaden the scope of your campaign. This network also carries with it a very positive reputation. Google is seen as being at the forefront of internet commerce, and all of its programs and initiatives, like those listed above, are renowned for quality and innovation. Having your presence linked to this premium internet company will help your company’s reputation in turn. Google has implemented what is known as the “plus button”, which, similar to the “like” button on Facebook, allows users to tag content which they enjoy or want others to see. Google uses this button to directly influence the ranking of this material. The more presence your content has on Google+, the better it will be ranked from an SEO perspective. 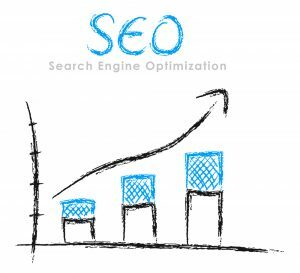 If you care about SEO, (and you should!) then you should sit up and pay attention to Google+. SEO improvement is just one of many incredible positives which can come from a powerful Google+ presence, in addition to the massive exposure you will get to the full extent of the Google+ user base. At GetYourSiteRank, we will help you set up your Google+ presence to ensure that you’re well positioned to get your marketing message out to the masses. Our customised Google+ strategies are all you need to have your campaign generating massive social media buzz. Social media like Google Plus should be an integral part of any online marketing campaign. Are you using Google Plus for Business? Hand over your social media management to our experts at GetYourSiteRank. This website has all that you will need to reach the most number of audiences. Contact us today. Get in touch today and lets discuss what we can do for you. Have Your Social Network Professionally Managed. Have Yourself a Google Plus Boost.